CHENNAI: In a recent case of cheating and fraud on promises of medical admissions, the city police has arrested a 53-year-old Delhi businessman for allegedly cheating with a Chennai doctor for Rs 2.2 crore. Based on a tip, a special team of the central crime branch (CCB) of the city police nabbed the suspect N P Ibrahim, who had been allegedly evading the police for the past 4 years. The accused is a “businessman” from Delhi. The arrest has been made based on a 2013 complaint of Dr K Kalaivani, 70 who stated that in 2013 the accused Ibrahim along with his accomplice Venkatraman promised her to get her granddaughter a postgraduate medical seat at a medical college in the state as both the accused had a “connection” with a central health ministry’s official. 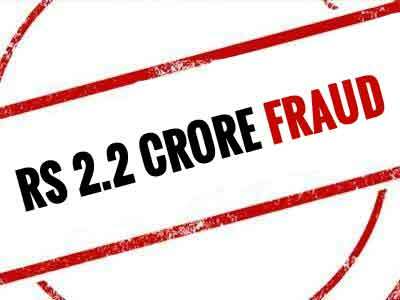 He further stated that for the said medical seat, Dr Kalaivani gave the cash in various installments to Venkatraman and Ibrahim totaling to a whopping Rs 2.2 crore. After sometime when Dr Kalavani did not get any confirmation for a medical seat, she demanded her money back but both the accused started to avoid her. No body should buy a seat in any college. It will teach Dr. kalavani a good lesson. She should be tried for trying buy a seat.